Life can bring unexpected expenses. When it does, LendingTree can help you take charge of your finances with loans from $1,000 to $50,000. As a result, personal loan lenders rely heavily on your credit score and financial history to determine whether you’re capable of repaying the loan. Other factors such as your income and other debts may influence the amount the lender is willing to lend you and the interest rate it offers. Generally, the interest rates are fixed, meaning they don’t change over the life of the loan. This can make it easy to budget for your payments later. 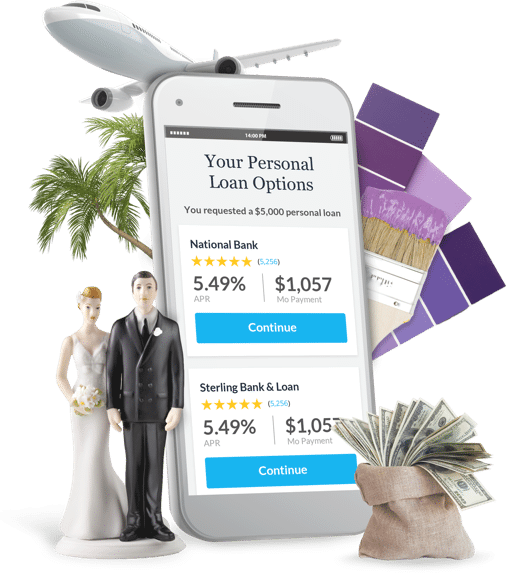 Personal loans have a definite payment schedule, which means borrowers know exactly how long it’ll take to pay off what they owe, and balances can’t run up like they can on credit cards. Credit score issuers such as FICO like to see borrowers carry a mix of credit types. An unsecured loan could improve your score by adding another loan to your report. Signature loans are generally unsecured, which means you don’t have to put something of value up for collateral. If you can’t meet your repayment agreement later, your personal property isn’t at risk. Most lenders will allow you to use your loan funds to pay for almost anything. So whether you need to consolidate your debt, pay off unexpected medical expenses or repair your home, these loans empower you to do so. As you apply, know the purpose of your loan, your credit score, how much money you want to borrow and your preferred repayment schedule. These are the questions you’ll need to answer to obtain a loan. 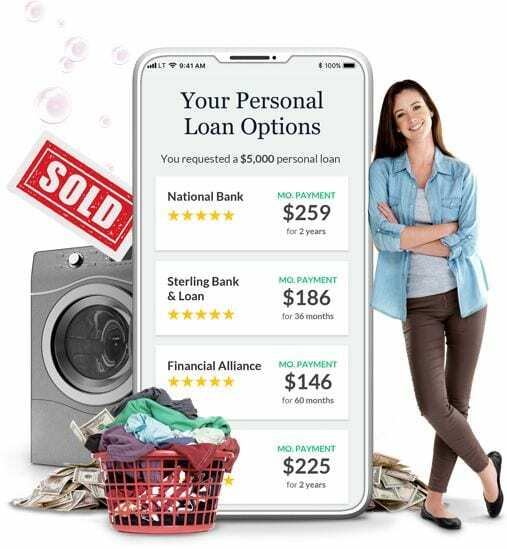 Explore LendingTree’s personal loan marketplace, where you can filter lenders by your credit score, loan amount and even ZIP code. LendingTree will give you more than one quote, and can match you with up to five lenders. Compare rates and loan offers side by side and pick the best one for you. SAVE AND GET THE MONEY YOU NEED QUICKLY! A fixed interest rate and definite payment schedule mean borrowers could pay less over the life of the loan, and will know exactly how long it’ll take them to pay off what they owe. Additionally, balances can’t run up like they can on credit cards. Collect your money, sometimes as fast as the day you applied, and spend it on what you need. If you have a stable work and education history — and a good credit score — you could be approved for a loan quickly. Even if you don’t qualify initially, you can take steps to improve your credit as a good score is essential for unsecured loans. If you have poor or no credit, you may still be able to qualify with a cosigner. Some lenders offer fast application processing, which means same-day funding could be available. Will prequalification affect my credit? Many lenders use a soft credit pull to give you estimated interest rates and loan terms that are available to you based on your credit, income and other factors. If you decide to move forward with the loan, the lender will do a hard credit inquiry. Too many hard inquiries in a given period could hurt your credit, but soft credit pulls do not impact your credit. Check out LendingTree’s marketplace, where you can use filters to shop for the best rates and lowest fees. Make sure to do your homework before choosing the loan that is right for you. The lender relies heavily on your past financial history to make sure you are capable of repaying the loan. Documents that prove someone is capable of meeting loan agreements include proof of income and employment (such as pay stubs), bank account information and statements, and proof of other debt (such as mortgage or auto loan forms). Interest rates indicate the amount charged by the lender to the borrower and is expressed as a percentage of the principal loan amount. But an annual percentage rate (APR) is a broader measure of the cost of borrowing based on interest, fees and loan terms, expressed as a percentage rate. Because of this, the APR can give a more accurate idea of how much the loan will cost in total. Can I get a loan with bad credit or no credit? If you have less-than-ideal credit, you may still qualify for a personal loan. The interest rates you’re offered will likely be higher, however, and the loan will cost more. Alternatively, you may be able to add a cosigner with good credit to your application to access more attractive rates. What happens if I miss a payment or can’t repay my loan? If you have to miss a payment, take responsibility and speak to your lender about options. 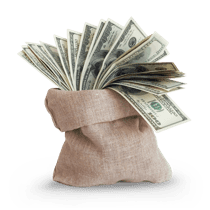 If you have a good payment track record with the lender, it may be willing to work with you to come up with a favorable solution. However, if you default on your loan, lenders can take action that can hurt your credit and finances for years to come, including sending your loan to collections, reporting your default to credit bureaus and taking you to court. This could make getting new credit costly or impossible in the future. Will large or additional payments change my monthly amount due? Large and additional payments can be directly applied to your principal balance, decreasing the total cost and interest you pay. 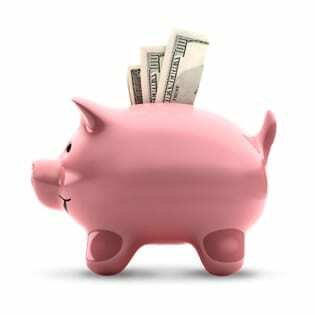 But you should always ask lenders about prepayment penalties, which are fees that could be applied if a loan is paid off ahead of the agreed-upon payment schedule. No. 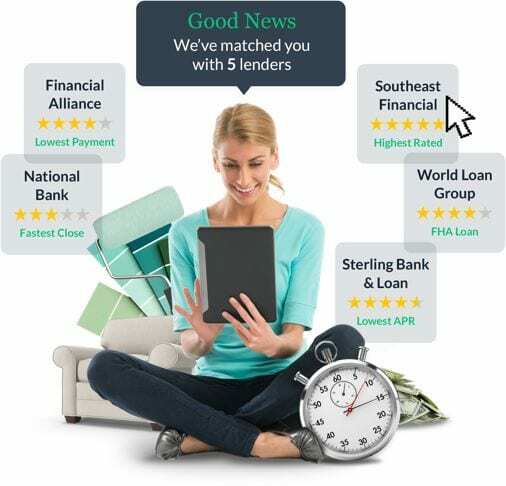 LendingTree is a leading online loan marketplace that connects consumers to one of the largest networks of lenders in the nation. LendingTree lenders offer a variety of loan types, from mortgages to auto loans to unsecured loans.